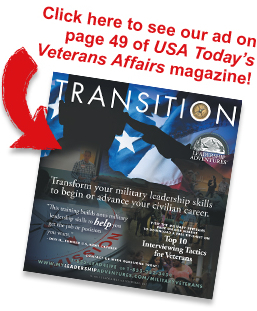 Accelerate your transition into civilian life as you unleash your leadership horsepower! We take extreme pride in helping our Veterans to transition their military leadership skills to begin or advance their civilian careers. 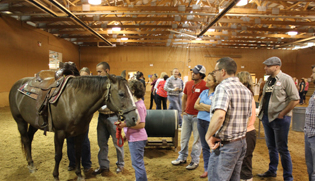 Learn to apply principles of inspiring leadership by working with a horse. Anyone can participate – no horse skills or abilities are required, and neither mounting nor riding a horse is required. Learn faster, retain more, and develop upon-return impact with experiential learning – and have fun in the process! 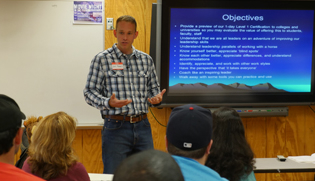 Military Veterans who have participated in our leadership training have provided that they are more prepared to be leaders in their homes, families, communities, and current or future jobs. If you would like more information about a Military Veterans Leadership Adventure in your region, please click Request Information and one of our team members will contact you.